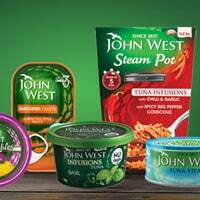 John West is giving away free money off coupons for various tasty and succulent items on it's website. You can print off the coupon directly and take it to the nearest store to redeem this offer. You can get money off coupons for products like Spreadables, Mackerel, Steam Posts and much more. Just visit their website now to get some money off coupons. Click on “GET IT HERE” button and then on next page, click the Print Coupon Now button and to print it out and redeem it from nearest store.